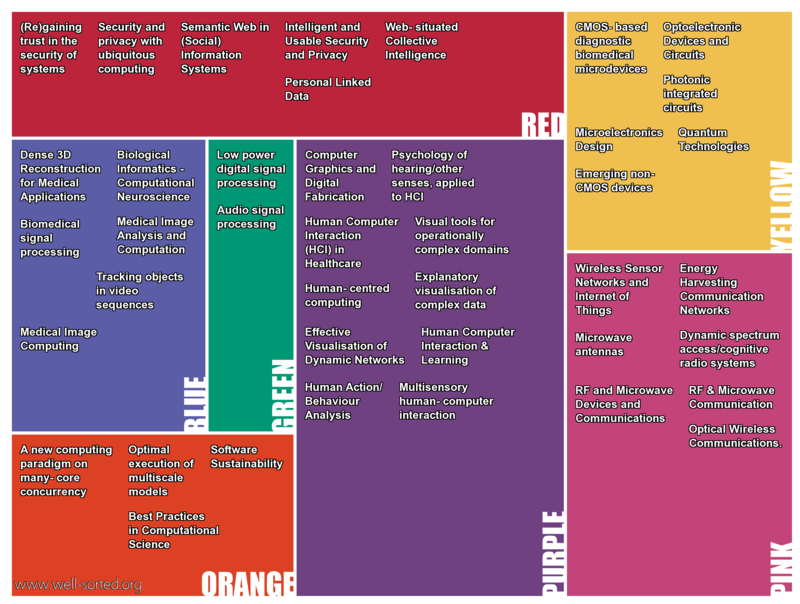 EPSRC’s Information and Communication Technologies (ICT) Theme held this workshop as part of its on-going commitment to support the development of early career researchers. 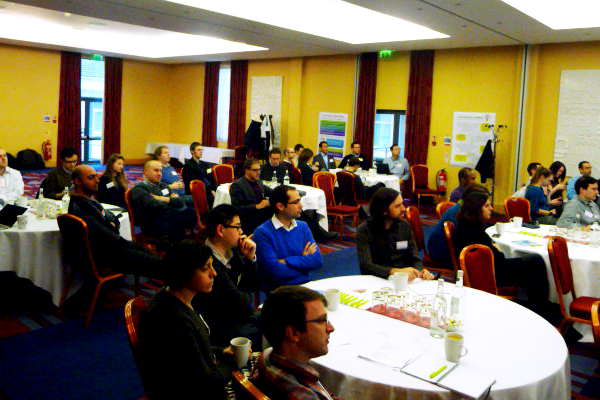 The two-day workshop provided a forum for early career researchers from across the ICT research landscape to engage with academic mentors, guest speakers and EPSRC staff. 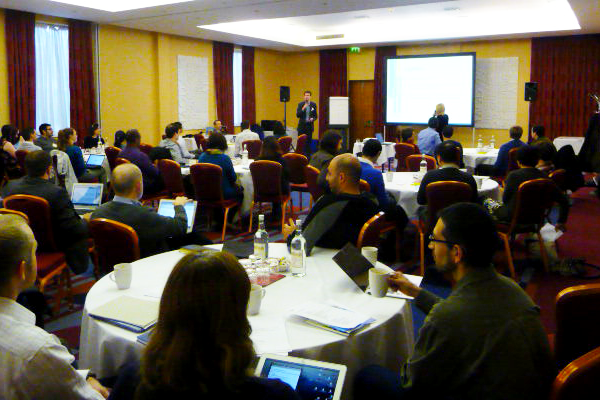 Workshop sessions provided advice on funding opportunities and career development, networking activities and discussions on the impact of ICT research, responsible innovation and the development of strategies to benefit UK ICT research. "Which research topic in ICT is currently of greatest interest to you?" 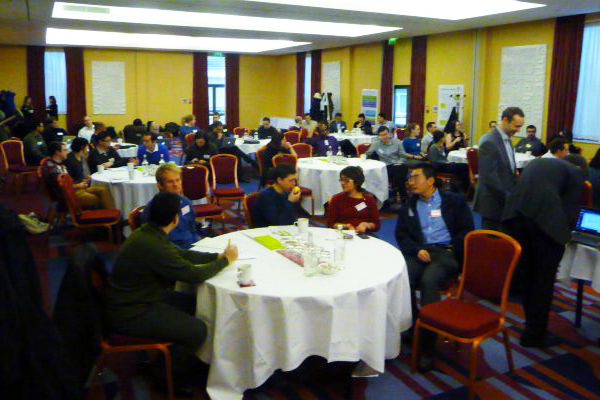 Participants were then invited to sort the resulting topics into coherent groups. These groups are shown below, with the colours used to refer to them at the meeting. To see the longer descriptions for any coloured area, or the researchers who were interested in the topics within, simply click on it.